Experiences are priceless! The Wee Food Tour makes a perfect and memorable gift for any food lover or visitor to Glasgow. 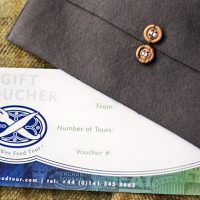 The Wee Food Tour gift certificates are good for a year and can be sent directly to you or to a lucky recipient.